endpoints. No serious device-related adverse events have been reported. was conducted in 14 centers in the U.S. and 5 centers in Western Europe. life questionnaire (ICIQ-OABqol), and a satisfaction questionnaire. 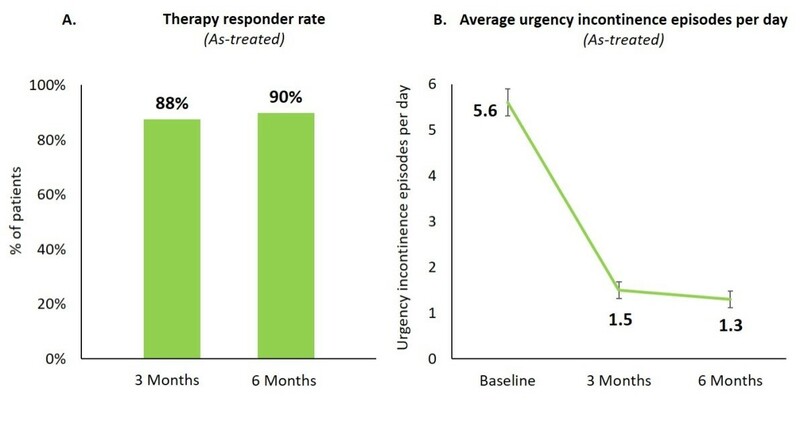 urgency incontinence episodes of which 34% were completely dry. clinical data disclosed herein has not yet been reviewed by the FDA. data from the ARTISAN-SNM study, on Tuesday, March 5, 2019, at 4:30 p.m.